The Center for Inclusion and Diversity (CID) at the University of San Diego serves the campus by coordinating, advocating, and assessing diversity and inclusion efforts across the institution. As a community of inquiry, the CID cultivates questions of difference and mutuality across curricular and co-curricular contexts. The University of San Diego holds deep commitment to developing and sustaining a diverse campus community in the broadest sense, including differences in gender, race, ethnicity, generational history, culture, socioeconomic class, religion, sexual orientation, national origin, citizenship status, political perspectives, geographic origin, and physical ability. For readers, listeners, and viewers of news, it may seem like hate is ascendant in our culture and in our world. Hatred and fear of the other manifests in overt acts of violence as well as insidious and exclusionary policy pronouncements. Two events last week - a racist rant by a caller to our office and vandalism of an all-gender restroom on campus – serve as a reminder that the blunt instrument of hatred can disrupt the search for safety and belonging on our campus. Each of us may respond to such events on our own terms: fear, anger, apathy, sadness; with resignation or motivation. We may organize, we may withdraw and seek safety. Events like these should never be acceptable. They represent the opposite of our stated values. One way to respond is to engage in “radical hospitality.” You may have seen or heard this phrase around campus lately. In the CID, we have been using it to welcome new employees, faculty, and students. For us, it has a very specific meaning. 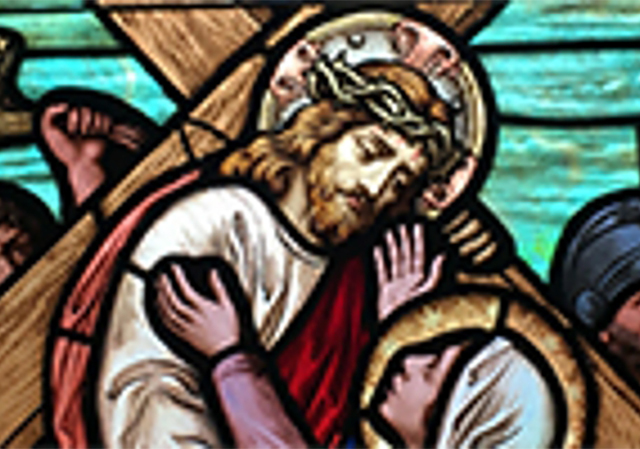 Radical hospitality represents equity in Catholic contexts. The practice of radical hospitality necessarily follows personal commitments that we might take the Gospels: compassion, forgiveness, empathy, and accompaniment. Radical hospitality is necessary if we are to create a world shaped by structural mercy, social justice, and solidarity. Transcending the limits of traditional welcome (host/guest), radical hospitality connotes change – the change that arrive from joining with others. Joining relies on mutuality, selflessness, and the pursuit of democratic, participatory partnerships. This is especially the case when we join with those whose perspectives has been largely excluded in co-constructing our campus, our classrooms, and our culture. Such a move asks for those of us already part of the USD community to reflect and discern how we can change our work, our assumptions, and our habits because of our encounter with each other and with new faculty, students, staff, and community partners. It also asks for a recognition that our own often unstated commitments to the status quo and the inertia of our professional work prevents us from fully joining with all in our community. Ultimately, radical hospitality asks each of us to confront the biases in our life and in our work. What perspectives shape the center, and what are those relegated to the periphery? When am I being defensive or opaque when encountering the ideas or hopes of others? Am I reflective of the hierarchies, conflicts, and interests shaped by difference in my own assumptions? Inviting and empowering others to enact our stated commitments together can serve as a fruitful antidote to hatred and marginalization. Those of us who undertake equity, diversity, and inclusion (EDI) work usually focus on the challenges ahead. I have decided to take a moment to reflect on some of the results of our work and partnerships in the CID that I have taken a part in since becoming Director in 2012. These results arrive from deliberations and actions among faculty, staff, and students. They have been catalyzed by student organizing, especially in 2015 and this academic year. Our equity and inclusion goals have been encoded in institutional strategic planning through Envision 2024. FACULTY RECRUITMENT: Among full-time faculty, USD has seen an increase in faculty of color from 18% in 2012 to 25% in 2018. The College of Arts and Sciences and the School of Leadership and Education Sciences have seen the most gains. The adoption of the Toolkit for Faculty Recruitment and Retention has caused some units and departments to change their hiring strategies. STUDENT DIVERSITY: Each year, we join with an increasingly diverse student body. This academic year, 38% of our students identify as people of color. Among the new undergraduate students we welcomed last semester, 41% identify as people of color. Enrollment goals should be even more aggressive, and USD must develop an equity and student success plan so that all of our students can be supported in and outside of class. CURRICULUM: Our new core curriculum asserts that diversity, inclusion, and social justice (DISJ) must be taken up by various disciplines who can meet rigorous learning outcomes for two required courses. Rather than couching this work within one discipline, undergraduate courses approved in the College of Arts and Sciences and Shiley-Marcos School of Engineering mean that two of the three undergraduate-serving academic units offer DISJ courses satisfying the core curriculum as a foundation of the Catholic Intellectual Tradition. 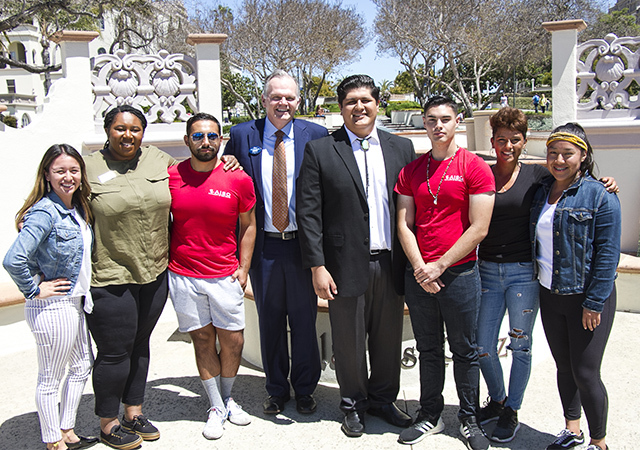 RESOURCES: The establishment of the Office of Tribal Liaison, the Black Student Resource Commons, and the LGBTQ+Allies Commons have been strategic and data-driven moves over the last seven years to help all student succeed at USD. The Office of Tribal Liaison has connected USD with the resources from Native communities, resulting in many strong relationships in the community and dialogues on campus. The Honors Program, with the support of Admissions, increased the students of color in the program to 30%. The Honors program is also designing an equity plan. The Mulvaney Center and Changemaker HUB aligned operations and budgets with the CID to ensure that equity agendas drive community engagement and social innovation. Our partnership with the Center for Education Excellence (CEE) has yielded dozens of experiences for faculty to learn how to create a more inclusive classroom. The College of Arts and Sciences’ Diversity Postdoc Program has increased the diversity and EDI commitment among instructors and provided hosting departments with an opportunity to reflect and grow their curriculum and subject areas. Human Resources has developed new employee orientation that forefronts EDI as part of our Catholic mission. I have been invited by Career Services and the Office of Admissions this year to help them reflect and discern how they can serve all in our community with an EDI agenda. Overall, one can find much progress in the last 7 years. At the same time, we have quite a bit of work ahead of us, and gaps to be aware of. It is always a time for reflection, discernment, and action – I hope each of you finds ways to engage in such a process. I am taking sabbatical this semester, but please do not hesitate to contact the CID for ideas, inspiration, and collaboration. I would like to welcome you to the new semester by acknowledging that the land on which our community gathers is the traditional and unceded territory of the Kumeyaay Nation. I want to pay respect to the citizens of the Kumeyaay Nation, both past and present, and their continuing relationship with their ancestral lands. You may have heard a land acknowledgement like this in your classes or meetings as the semester began. Thanks to the leadership of Perse Lewis, Tribal Liaison and Professor of Practice, as well as student organizing, our community increasingly begins things with this fundamental starting-point for weaving inclusion and social justice in all that we do. The Center for Inclusion and Diversity continues to advocate for deeper commitments to diversity and inclusion across campus this semester, with coordinating partnerships with the Center for Educational Excellence, College of Arts & Sciences, Human Resources, Center for Catholic Thought and Culture, Mulvaney Center, and Changemaker HUB. 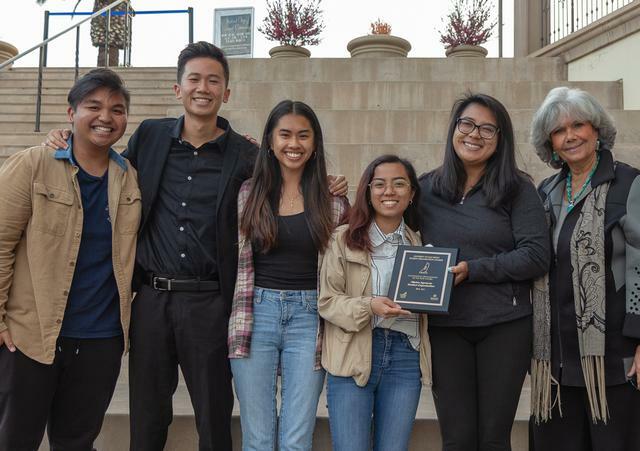 We are excited to support Ethnic Studies’ Labovitz-Perez Lecture in October and engage with Envision 2024 by supporting work to make USD more accessible to low-income students and growing the diversity of our faculty. For STUDENTS, we will send a delegation to the activist-oriented bi-annual meeting, Facing Race in Detroit. We also invite students who seek to organize around equity, diversity, and inclusion on campus to use the CID as a way to operationalize your ideas. For FACULTY, we invite you to be a part of a reading group this year, with two meetings per semester, around the book On Being Included by cultural studies scholar Sarah Amhed. We are ordering copies – please let us know if you are interested in being part of our conversations and would like a copy. For STAFF, we continue to convene the JEDI Professionals (staff whose positions center on justice, equity, diversity, and inclusion) for professional development and reflection, and offer consultation for how teams can advance equity, diversity, and inclusion in your work. For the COMMUNITY, we partner with the Mulvaney Center to provide resources and opportunities for deeper relationships based on mutuality and democratic partnerships. For ALL – the CID is a resources for anyone who experiences or sees things happening that do not reflect our mission of “building a diverse and inclusive community.” Please come to our office (Maher Hall 253) and we will get to work on it. We in the CID have begun to convene a consideration of past action and hopes and challenges for the future under the theme “A Time of Discernment.” These sessions have invited participants to reflect on their experiences and contribute to our collective discernment regarding our shared future. The Envision 2024 Professional Learning Community, organized in partnership with the CEE, Mulvaney Center, and the Changemaker HUB, has seen participants engaged with community partners in Seattle, New Orleans, and Tijuana this semester. In New Orleans, we met with our friends at Grow Dat, Tulane University, an the Community Book Center (CBC) We invited Bishop Cheri into the CBC space to discuss black Catholicism with the community, including USD faculty and staff. We also met with the Religious of the Sacred Heart (RSCJ) community. As a university and as a community, we find ourselves in 2018 at a pivotal moment regarding diversity, inclusion, and social justice. Colleagues working across our campus, prophetic student voices, and lessons from community partnerships have contributed to a growth of diversity on our campus. Currently, 38% of our students identify as people of color, up from 32% in 2012. Among tenure-line and tenured faculty, 25% identify as people of color. This number was 18% in 2012. Continuing to increase the numbers of people from underrepresented and underserved backgrounds on our campus is necessary for academic quality and expresses our mission confidently. This results in many ways from faculty and staff working hard, in some cases squeezing water from stones, around our recruitment efforts. From the Faculty Toolkit to enrollment management efforts, we have a good understanding of what works, and what is needed to move the needle further. At the CID, we will continue to push for innovation, and invite from our community contributions, catalyzing ideas, and action to these ends. The work now becomes more difficult. How do we reflect, discern, and recommit to diversity, inclusion, and social justice in all of our functions across the organization? How do we instill these values and practices in professional and academic habits and assumptions to truly transform the university in the direction of our mission? Envision 2024 asks us to as well, as we have won high prioritization of DISJ in our institutional planning. Everything is set up for progress and big strides in this work, but we need to start from a new place. At the CID, we will convene students, faculty, and staff this semester to build community around this moment, with announcements to follow. 1. Professional Learning Community (PLC): Our 2017/2018 PLC was convened in September in partnership with the Mulvaney Center, Changemaker HUB, College of Arts & Sciences, and Center for Education Excellence. This diverse group develops leadership capacity and recommendations around our strategic planning process. We find it vital to build community around the pathways and goals that Envision 2024 sets forth. Last semester, this group met monthly and participated in a local engagement experience in Barrio Logan. This semester, the group will participate in an off-site experience with community partners in Tijuana, Seattle, and New Orleans. 2. Accompanying Immigrants & Refugees: The CID continues to support the work of Maria Silva and Greg Preito in their leadership supporting our DACA students and discerning how we best accompany our students, colleagues, and community partners at a time of national foment targeting non-citizens. Greg Prieto and I attended a pre-conference on Immigration at the Association of Catholic Colleges and Universities annual meeting, and he and I interviewed Archbishop Cardinal Tobin on “accompaniment” for ACCU’s Leaders in Higher Education Program. 3. Faculty Recruitment & Development: We continue to refine faculty recruitment efforts, looking forward to results from this year’s hires that advances faculty diversity and quality. We have undertaken discernment around tenure and promotion practices to include commitments to diversity and inclusion, as well as strengthening the Diversity Postdoctoral Program to create change for both Postdoctoral faculty as well as hosting departments. 4. Office of Tribal Liaison: The CID continues to support the work of the Office of Tribal Liaison, which this year has included the opening of the Kumeyaay Garden and creating community for Native students. Many other items are before us. But for now, we would like to continue to invite you to join with us in solidarity to cultivate change on our campus in the direction of our mission and vision. Read archived messages from the associate provost. National Immigration Dialogue Website Visit the new one-stop website for statements, resources and latest news related to the national immigration dialogue. If you would like guidance navigating these resources, contact the CID to speak to someone.